The aircraft flew to 21,000 feet when the failure occurred, the crew landed safely. 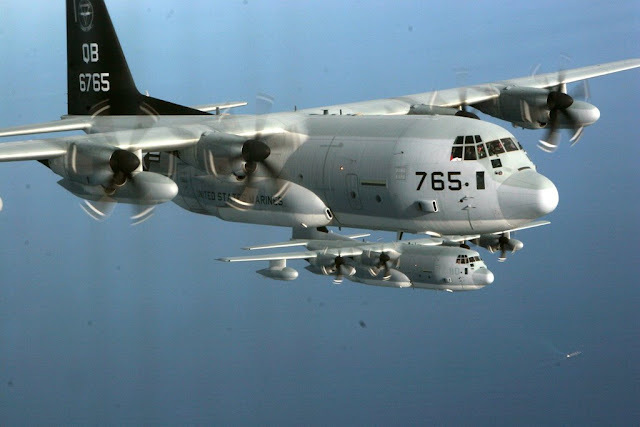 At approximately 11:20 A.M., on Aug. 15, a C-130J from Marine Aerial Refueler Transport Squadron (VMGR- 352) departed Marine Corps Air Station Miramar with 46 passengers and experienced a loss of pressurization at 21,000 feet during a scheduled training mission. The air crew expertly executed appropriate procedures and safely landed at MCAS Miramar. Four Marines and one Sailor from 3rd Low Altitude Air Defense Battalion based at Camp Pendleton, California, displayed symptoms of decompression sickness the following day and were treated at Naval Medical Center San Diego. The Marines and Sailor were treated and released, and did not require hospitalization. The cause of this incident is currently under investigation. The news appeared on the official Marines website. In early August another accident involved the USMC when an MV-22 Osprey tilt rotor aicraft was involved in a mishap off of the east coast of Australia during a flight connected to Talisman Sabre, a joint military training exercise held by the U.S. and Australia.